Even with slumping Android tablet sales and customers losing interest, Samsung has been one of the few OEMs to consistently upgrade its mid-range and premium tablet lineup. 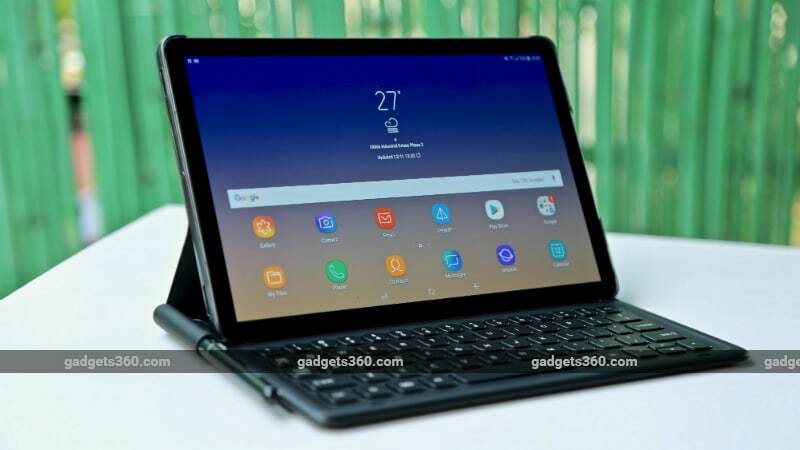 The South Korean manufacturer unveiled its latest flagship model, the Galaxy Tab S4, in India last month, as a competitor to Apple’s iPad Pro. The Galaxy Tab S4 comes bundled with a redesigned S-Pen that has a proprietary tip. A departure from the previous-gen Galaxy Tab S3’s design, the Samsung Galaxy Tab S4 sports an even sleeker look with smaller bezels, and comes packed with premium internals. 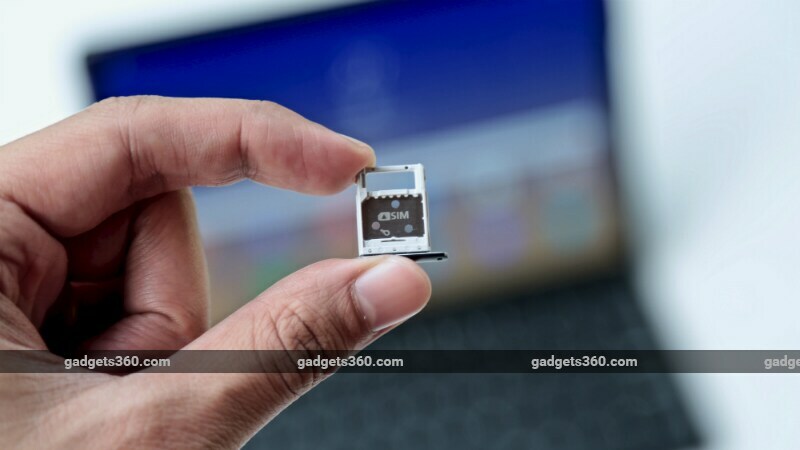 However, it costs as much as some professional laptops, so there are a lot of aspects to factor in before deciding whether this is the right gadget for you. With a larger 10.5-inch Super AMOLED panel, the Galaxy Tab S4 is just slightly thicker than last year’s Galaxy Tab S3, at 7.1mm. It sports the same glass back design that is now seen on Samsung’s entire flagship smartphone lineup. Despite its tablet-sized proportions, the glass back is not slippery at all and the Galaxy Tab S4 can be easily held in one hand. The tablet is not thick enough for a silo for the stylus, so you will have to carry it around separately unless you buy the keyboard folio case or another accessory that can hold it. While still not on par with the Infinity Display design of the Samsung Galaxy S9 ₹ 47,990 and Galaxy Note 9 ₹ 59,990, the tablet does have smaller borders compared to the Galaxy Tab S3 (Review). Expectedly, Samsung has had to make borders thick enough for users to hold onto them without triggering any unwanted responses on the touchscreen with their thumbs. Thanks to these smaller borders, the capacitive Android navigation buttons make way for onscreen ones. With the Home button and its integrated fingerprint sensor gone, the Galaxy Tab S4 now relies on software-based face recognition, Iris scanning, and a combination of both (Intelligent Scan) for biometrics. With the Samsung logo also gone from the top, the borders appear symmetrical from all sides and less distracting, which is a good thing. A metal frame is sandwiched between the glass front and rear panels of this tablet. It has the same four-speaker setup, with two on the top and two on the bottom. The stereo sound and Super AMOLED panel make this an interesting device for watching videos. On the right are the lock/ power button and the volume buttons, along with a tray that houses one Nano SIM slot and one MicroSD card slot. On the bottom are a USB Type-C port and a 3.5mm headphone socket, placed very close to one another. Much like its predecessor, the Galaxy Tab S4 has an almost bare glass back, albeit with a single rear camera and an accompanying LED flash. There is a silver Samsung logo and “Tuned by AKG” branding on the back, keeping the look minimal. Build quality is great and the weight is distributed equally. At about 482g, the tablet is easy to hold and effortless to carry around in a bag. With a symmetrical approach to its design, content on the Samsung Galaxy Tab S4 looks fine in portrait as well as in landscape mode. The S-Pen has received a redesign too this time around. It is glossier, more rounded, and feels much more natural to hold in the hand compared to the one bundled with the Galaxy Tab S3. A neat little addition is a metal ring with a slight protrusion around the middle of the S-Pen that prevents it from rolling on a slippery surface. In the box, Samsung includes the tablet itself, the redesigned S-Pen, a USB Type-C cable, a fast charger, a nib removal tool, and the usual five extra stylus nibs. The tablet is available in India in Black and Grey colour options, but as of now only the 64GB storage configuration with LTE has made its way into the Indian market. Targeted as a flagship tablet in 2018, the Samsung Galaxy Tab S4’s internals don’t quite match up to that promise. It uses a Qualcomm Snapdragon 835 SoC, which is almost two years old now. Add to that, the tablet still has just 4GB of RAM and 64GB of internal storage which is frankly quite disappointing. It is especially surprising to see outdated specifications in this tablet given that it originally launched alongside the Galaxy Note 9, which has better hardware. Only the LTE model has been launched in India, and you can use any 4G Nano-SIM to make calls and browse the Internet. One of the highlights of the Samsung Galaxy Tab S4 is its 10.5-inch Super AMOLED display, with a resolution of 1600×2560 pixels. The HDR-enabled display is a great way to watch videos on any major platform of your choice – YouTube, Netflix, or Amazon Prime Video. You can also play your own video files by loading them onto the device using the right app. Other specifications include a humongous 7,300mAh battery, a 13-megapixel autofocus rear camera with an LED flash, an 8-megapixel selfie camera, Bluetooth 5, and Wi-Fi 802.11ac with Wi-Fi Direct. The USB Type-C port at the bottom supports USB 3.1 Gen 1 speed. We tested out the HDR-enabled Super AMOLED panel of the Galaxy Tab S4 that is now supported by Netflix. Narcos on Netflix looked great, with crisp colours and excellent overall reproduction. The stereo sound is loud and crisp, and complements the display. However, users looking to control their bandwidth usage should remember that video streaming at the highest quality utilises more than 2GB per hour. Much like the AMOLED panels on Samsung’s smartphones, we had no complaints with brightness, viewing angles, or contrast on the Galaxy Tab S4. The combination of Samsung Experience UI and an older Qualcomm Snapdragon processor do not deliver ideal performance on the Galaxy Tab S4. Basic actions such as accessing the Bixby Home screen or switching between a couple of heavy apps produced frame drops that Samsung might not be too proud of. The relatively low amount of RAM was an issue, as apps kept being quit completely as we switched between a few heavy ones including Facebook, PenUp, and Netflix. This was also reflected in our benchmarks. The Galaxy Tab S4 scored a decent 1,97,851 in AnTuTu, 1,805 in Geekbench’s single-core test, and 6,351 in Geekbench’s multi-core test, but managed only a paltry 13fps in GFXBench’s intensive Car Chase test. The S-Pen offers interesting possibilities, especially for budding artists and even generally creative individuals. It always registered accurate actions, and we even liked using it to navigate around the tablet’s UI. While we were initially skeptical that we would accidentally register input while resting our palm on the display while sketching, the tablet did a decent enough job of preventing that. The Galaxy Tab S4 forgoes a physical fingerprint sensor in favour of face and iris scanning. While the iPad Pro also went down the same route this year, Apple’s Face ID is still ahead of the software-based face scanning that Samsung offers on its tablet. A combination of face unlock and iris scanning, called Intelligent Scan, is helpful, but does little to help in tricky situations and in low light. It almost always required us to hold the tablet in a very specific way leading us to use the screen pattern instead. You really need to focus on the light emitted by the iris scanner which is a frustrating process to have to go through every time you want to unlock your tablet. The Galaxy Tab S4 borrows the rear camera from its predecessor, and it is still average at best. 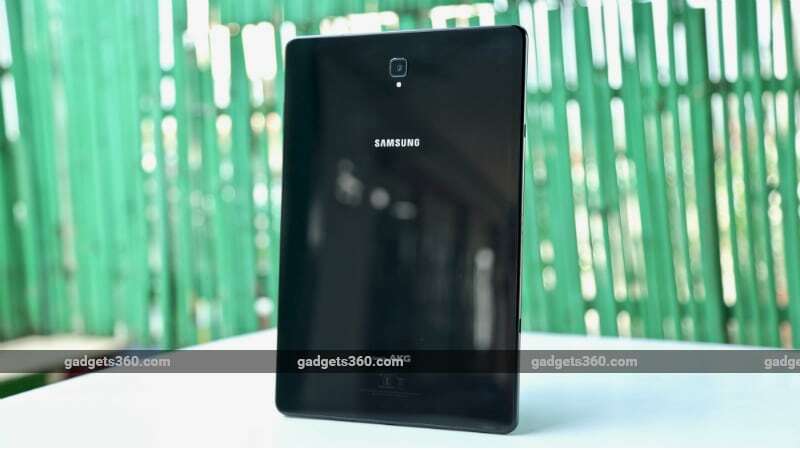 Samsung’s high-end smartphone cameras have often been the talk of the town, and the one on the Galaxy Tab S4 offers similar colour reproduction but lacks flagship-level clarity. Even low-light shots are passable at best, and cannot be compared to photos taken by most of the flagship smartphones out there. Don’t be fooled by how good the images look on the tablet itself; that’s the gorgeous Super AMOLED panel at work. That said, a tablet’s cameras aren’t even competing in the same category and you would rarely be using this device as your primary mobile camera. The Galaxy Tab S4 sports an upgraded selfie camera, which can come in handy for video chatting. The 8-megapixel front camera offers good selfie shots in daylight or good indoor lighting conditions. Don’t expect good quality at night, with the camera blowing out colours and struggling to produce a clear shot. The camera app borrows certain features from Samsung smartphones, including Selfie Focus that offers a bokeh effect, AR-based stickers, and a wide angle mode. These features work as they would on any Samsung phone. Battery life with the tablet was impressive given the significant upgrade to a 7,300mAh unit. While it ran out of juice relatively quickly after intense gaming sessions involving Asphalt 9, we could sketch and colour using the S-Pen for hours with stable battery reduction. Standby time was excellent, especially on Wi-Fi networks. We had to charge the tablet about once every few days with moderate usage that involved gaming, sketching, and Web browsing. The battery does drain faster if you watch a lot of HDR video. The bundled charger takes about 3 hours and 20 minutes to take the Galaxy Tab S4 from 0 to 100 percent. It lasted 11 hours and 21 minutes in our HD video loop test. The Galaxy Tab S4 runs Samsung Experience 9.5 on top of Android 8.1 Oreo. The software is exactly what you would see on Samsung’s Galaxy range of smartphones. The major differentiator with this generation is Samsung DeX, the company’s attempt at creating a PC-like experience on mobile devices. With DeX on Samsung’s flagship-class smartphones, you have to plug in an external display and you can use it with a keyboard and mouse, but the Galaxy Tab S4 also lets you use the DeX interface on the tablet itself when paired with Samsung’s Book Cover Keyboard. Samsung sent us the Book Cover Keyboard along with the Galaxy Tab S4, and we found it to be comfortable to use. The tablet fits nicely into the grooves provided, and magnets latch on to hold in place perfectly. The keyboard itself is easy to type on with the keys having a good amount of travel. The case does not add a significant amount of weight to the tablet, and works passively with no battery of its own, so you don’t need to worry about charging. There’s a silo for the S-Pen, which also has a secure fit. The Book Cover Keyboard is priced at Rs. 7,499 in India. A cheaper Book Cover (sans keyboard) can be purchased for Rs. 3,999. The DeX UI will pop up automatically when you slip the tablet into the Keyboard Cover, which is attached magnetically, or when you plug in an external display using a Type-C to HDMI adapter. The toggle is otherwise hidden behind a bunch of menus in the Settings app.